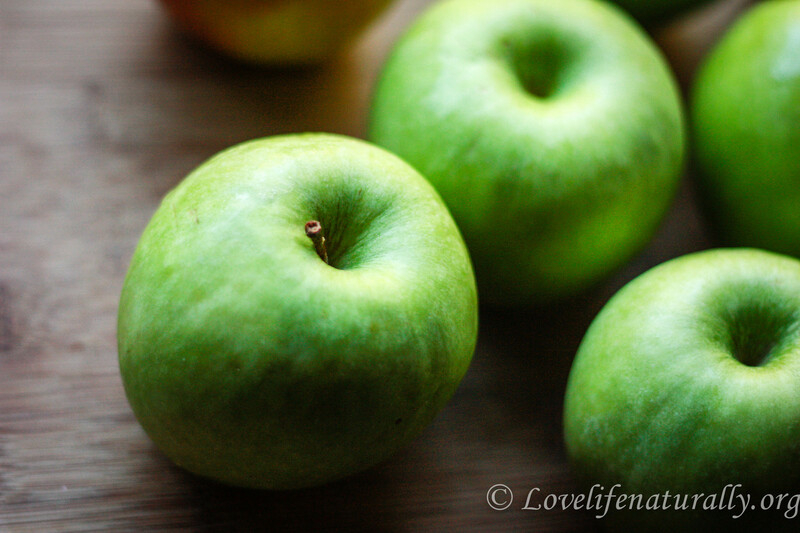 Sweet rich caramel that makes the perfect addition to a tart organic green apple… Yum! I haven’t had a Carmel Apple in years! Growing up, they were such a treat! 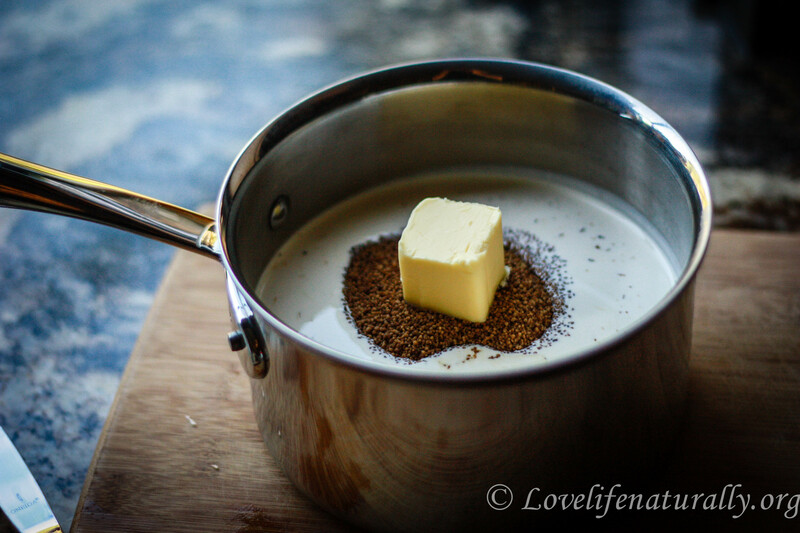 My mom would make special ones for us by simply melting caramel candies in a double boiler. Unfortunately, caramel today is typically filled with corn syrup and other highly processed ingredients. The good news is that it is definitely okay to have a sweet indulgence now and again. 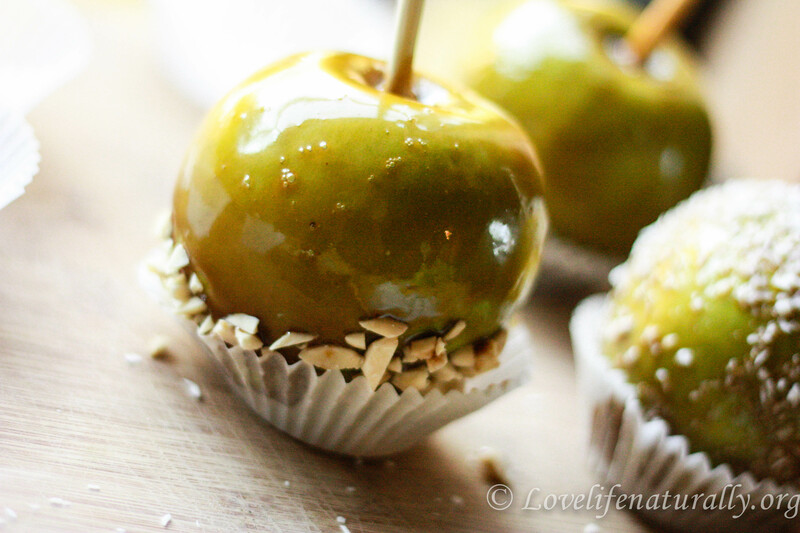 By making your own organic caramel apples, you know what the ingredients are, they are safe for you and your loved ones, they are natural. 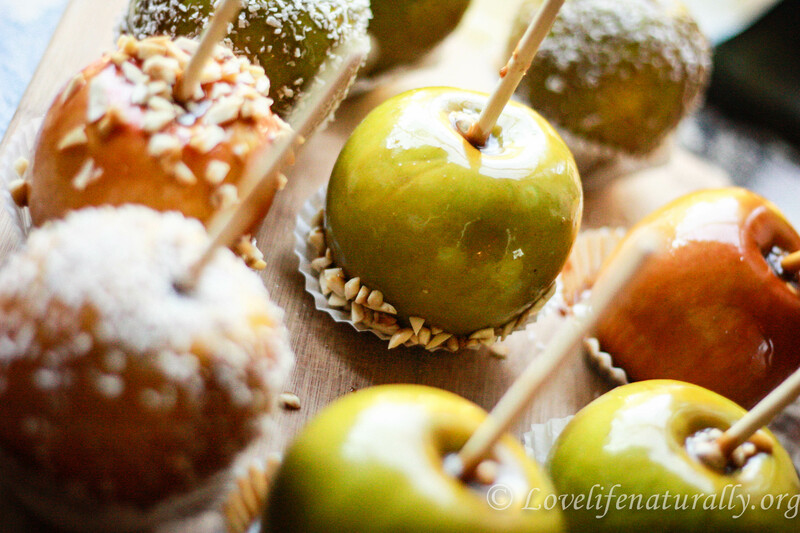 Although I really wanted to have these ready for you to try before Halloween, these are still a perfect treat any time now, especially since apples are in season! 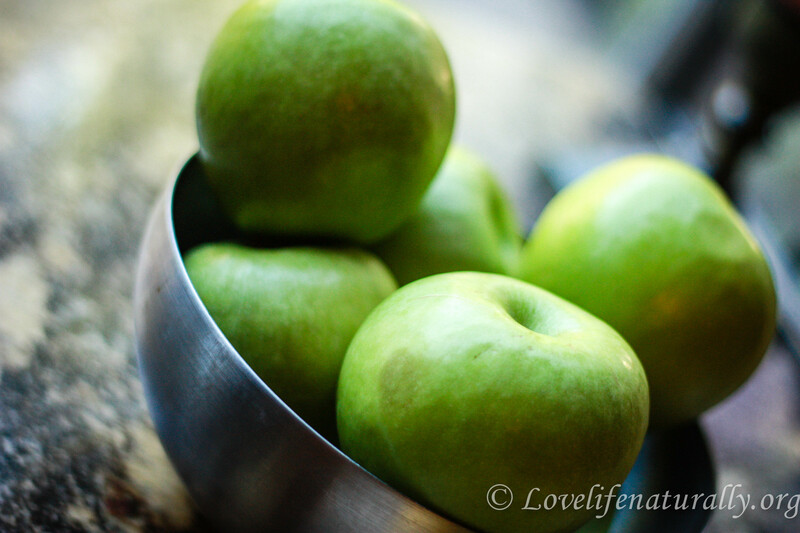 Place the apples into the refrigerator to cool for a few hours. 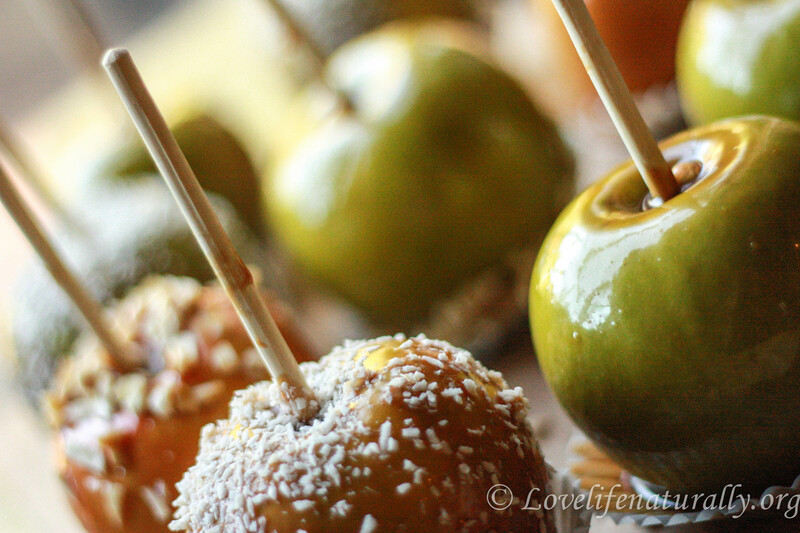 Chilled apples will help the carmel stick to them. 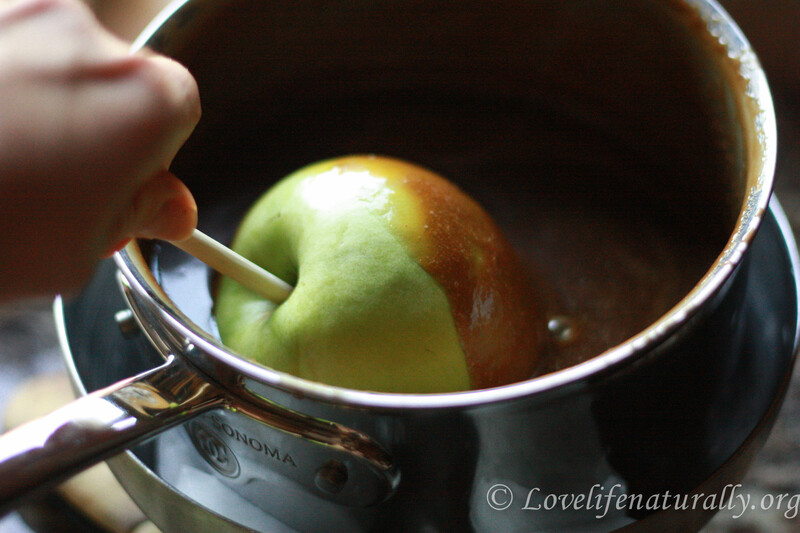 Once the apples are chilled you can start making the carmel. Add all the ingredients to your sauce pan. Set out your toppings and liners so you have every thing ready because you need to be quick once you start cooking the carmel. 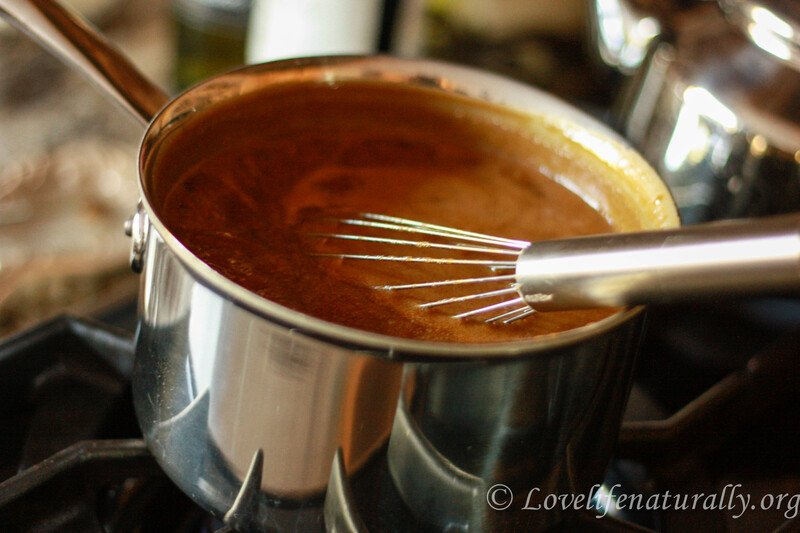 On a low-med heat, bring caramel to a boil, stirring continuously. Don’t stop stirring or your carmel will burn!! You’ll need a cooking thermometer to watch the temperature. Once it reaches between 255 and 260 degrees (about 20 min) it is done. Turn off burner, take apples out of the fridge and stab in lollipop stick through the core. 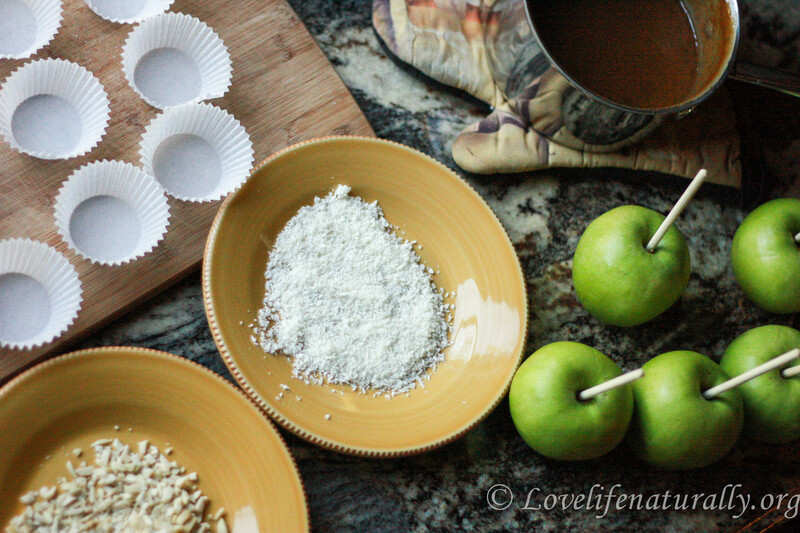 You can place caramel in a bowl of ice to help it cool a bit, about a min, and then begin dipping a twirling apples into the caramel. 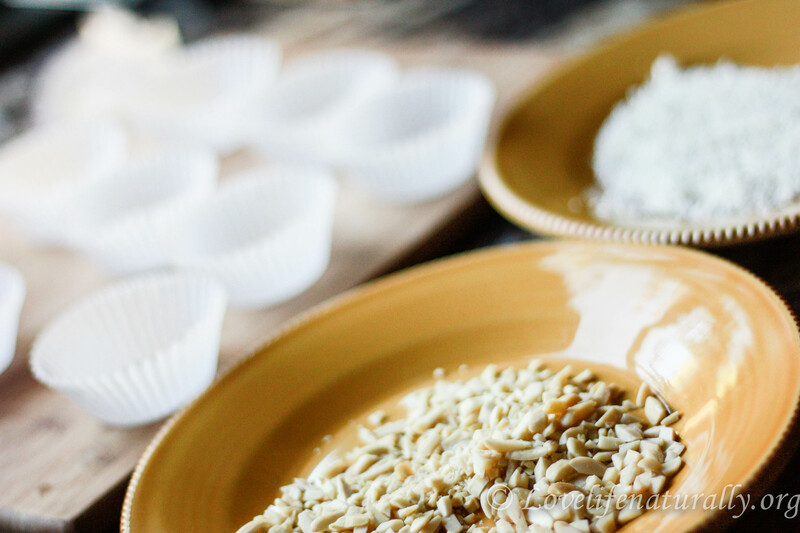 Sprinkle with your favorite toppings and place into muffin liners. Continue with the remaining apples. Don’t worry if they are messy (mine sure were! ), as long as they taste good! 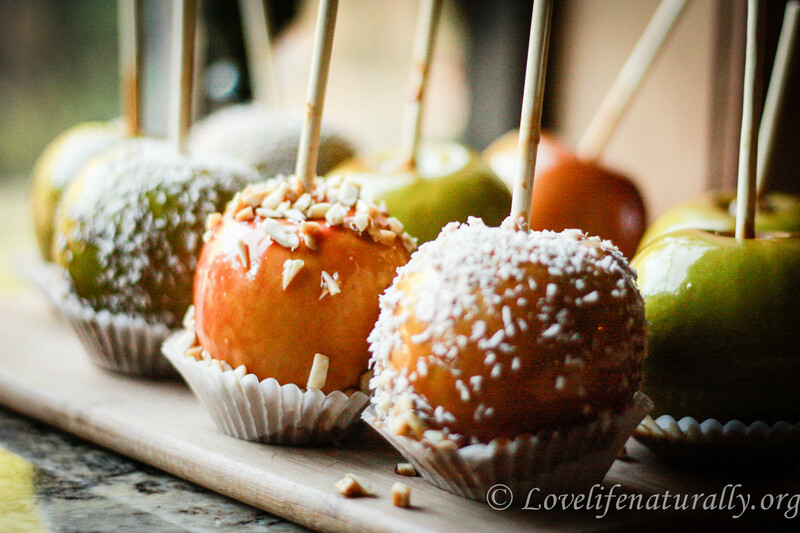 The coconut apples were the favorite of the evening. Get creative and let us know what your favorite toppings are! Enjoy! 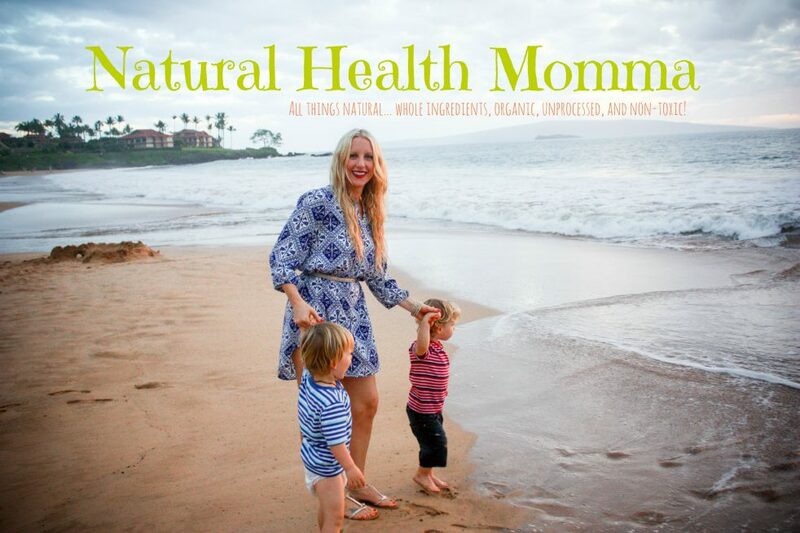 Previous Post Dare To Indulge… Halloween PUMPKIN Chia Muffins Gluten-Free! I just made these today. Yum. They turned out great.